like the rains of January. As a Jew, I am all too aware that history has been painted with the blood of individuals whose only crime was being born Jewish. The stigma of living life as a minority has forever shaped Jewish history and the histories of many other peoples. Therefore, I am always taken aback when I see any group of people who face discrimination not for their actions, but simply for being alive. I know that Jewish leadership has made sure that any assertion of commonality between Jew and Palestinian is denied. But throughout history, from Poland to Iraq, from Argentina to South Africa, from Brooklyn to Mississippi, Jews have taken up their quest for justice, and their desire for a more just world, by joining with others in collective struggles. Jews have participated prominently in the workers’ struggle of the Depression era, in the civil rights movement, in the struggle against South African Apartheid, in the struggle against fascism in Europe, and in many other movements for social and political change. Obviously the State of Israel’s historic and ongoing oppression of the Palestinian people contradicts and betrays these long histories of Jewish participation in collective liberation struggles. Thus, I invite you to join me in my support for the Canadian Boat to Gaza, and its insistence on ending the illegal and immoral blockade imposed by the Israeli State on over 2 million Palestinian civilians living in the Gaza Strip. Let's challenge the legality of the inhumane blockade of Gaza’s 2 million inhabitants, most of whom are refugees and children. Let's expose the Canadian government’s complicity in this act of collective punishment of defenceless civilians. Let's demonstrate to the people living under the blockade that the world has not forgotten them. Let's stand in solidarity with the Palestinian people. Let's support the Canadian Boat to Gaza right now! Please share our messages and forward them; Merci de partager et de faire suivre nos messages. fishing nets – two types (Shanshoulah and Monefel, 2×3 and 2×1.5cm respectively), sufficient for 140 fishers. fishing suits – sufficient for 79 fishers’use. Marine boat lighting – 342 distributed, for over 200 fishers to use. 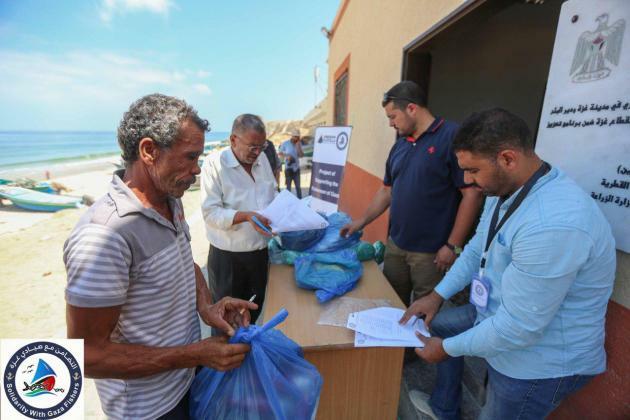 Although the FFC’s primary goals are political rather than humanitarian, we recognize the dire circumstances of the over 2 million Palestinians living in Gaza and the importance of supporting its fishers and their work in feeding their communities. 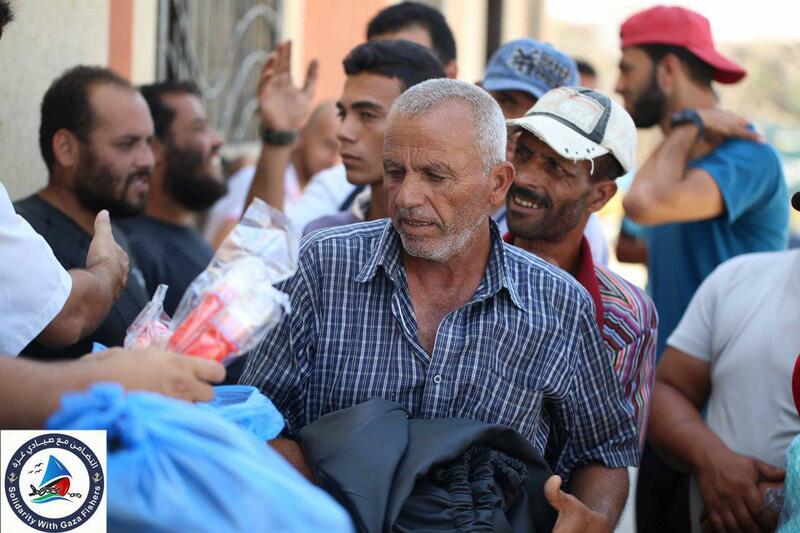 This is why our current campaign focuses on Solidarity with Gaza Fishers and helps bring the stories of Palestinian fishers in Gaza to the world. The FFC is making plans to sail again as soon as possible to challenge the destructive and criminal blockade. Updates on our sailing will be released on our website, as well as via Facebook and Twitter. By Mohammad Arafat, in Gaza. This article is from our partners at We Are Not Numbers. Solidarity with Gaza fishers is proud to introduce an ongoing series featuring the work of these young Palestinian journalists. I urged Zaki to buy a new boat to join his sons’ last remaining vessel. He laughed bitterly, telling me that one small boat costs about 30,000 shekels ($8,500). By Leen Abu Said, in Gaza. This article is from our partners at We Are Not Numbers. 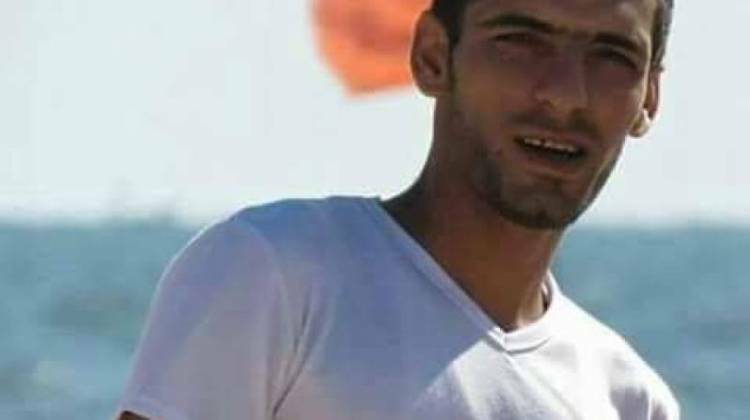 On May 15, 2017, Israeli naval forces shot dead a young fisherman from Gaza while he was in his boat. 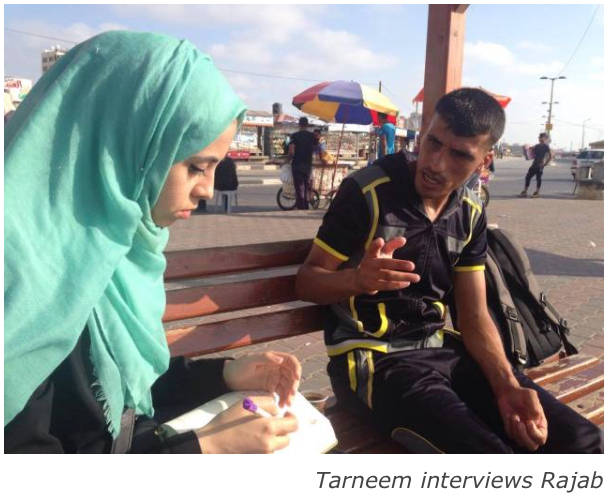 Below is an interview with Majed Bakr, the father of the victim—also a fisherman from Gaza and a member of the family of the four little Bakr boys killed by an Israeli missile while playing on the beach in 2014. Could you introduce yourself to my readers? What happened on the 15th of May? Majed: As usual, my sons Omran, Fadi, Saddam and Mohammed sailed out to sea to fish. This is how we make a living. They were 400 meters away from the Israeli-imposed nine-nautical-mile limit. Suddenly, an Israeli patrol boat started shooting live bullets at their boat. One of them hit my son, Mohammed, in his heart. Obviously, the others who were with him are not doctors and couldn’t save his life. They shouted to get urgent help. He was already vomiting blood and his heart had swelled like a balloon by the time the Israeli navy came to take him to a hospital in Majdal, a city in occupied Palestine. If they wanted to save him, then why did they shoot at him in the first place? Majed: This is their policy: to ruin with the right hand, then to fix with the left. Therefore, their position looks as if it’s legal and humanitarian internationally. (Majed heaves a deep sigh.) And he died. Do you still sail now? Majed: I sail every day with my sons. I am a 57-year-old man and this is my life. But then one day, I said to Omran, “Son, you all are young men now. You can depend on yourselves.” Four days later, they went fishing without me and the accident happened. The Israeli navy boat was so fast; it was as if my sons’ boat was not moving. My son told me how Mohammed hugged the motor of the boat so the Israelis would stop shooting, but to no avail. We had taken out the boat as a loan in Mohammed’s name from the FATEN (Palestinian Credit and Development) Association, planning to buy it. But it was shot with seven bullets, and Mohammed died. I wish the boat was gone instead! Why did they shoot him? Did he exceed the sailing limit? Majed: A fisherman never intends to exceed the limit, but it happens very easily. The sea is naturally unstable. While a fisherman sails, the current pulls the boat as much as 300 meters in any direction. When we see an Israeli boat, we try to escape quickly. But the Israeli boats are free to shoot at us; sometimes they do, other times they leave us alone. 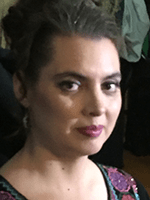 This time, I was not with my sons, but the other times—since 2012—I was. What does each boat cost? Majed: It costs at least $10,000. We repaired one of the boats, which was brought back destroyed. That cost us 8,000 NIS [about $2,200]. Does fishing deserve all this sacrifice? Majed: I adore the sea. Fishing is the profession of my ancestors. If I fish five hours a day, I earn just 30 NIS [$8]. But it’s better than working 12 hours a day as a construction worker and making the same amount. 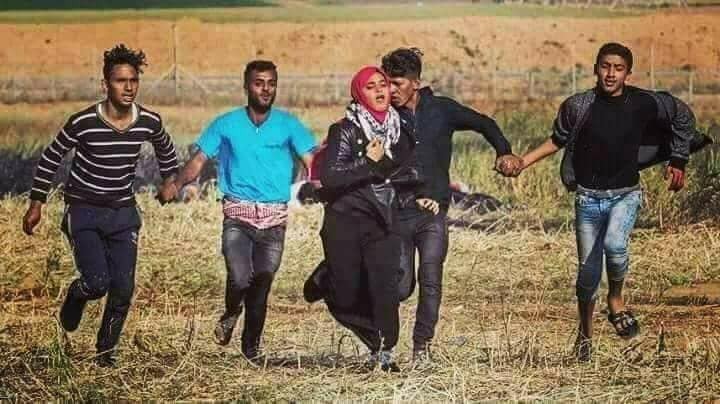 It is enough to live ok in Gaza. Here, even the employer whose daily salary is 400 NIS [$110] is in debt. Each son can never marry and have a family if they live in separate houses. So, with each one of them making 30 NIS, the total allows us to live in one house comfortably and to eat together. Only Allah blesses our days. But our lives are controlled by Israel’s mood. Why does the fishing limit differ from one time to another? Majed: The Israelis are not idiots. They know that the area in the sea where there are the most fish is found 11 miles or more from shore. We know this because we fished up to 14 miles before the siege on Gaza began. And not all of Gaza’s sea is open even up to 9 miles. They also prevent us from fishing in the entire sea during the reproduction season. The fish usually stay in calm waters. So, we see the fish but we can’t fish. The Israeli navy officers say loudly in Hebrew, “The fish are ours, not yours.” But we never see any Israeli fishermen! Sometimes the Israeli navy uses water cannons to turn the boats of Gaza fishermen upside down, making the motors wet and obstructing the fishing process. When will these attacks stop? Majed: They will never stop. We are attacked daily. Since the beginning of the siege until now, I’ve lost six of my friends, and now my son. Mohammed is not the first martyr to the sea, nor will he be the last. 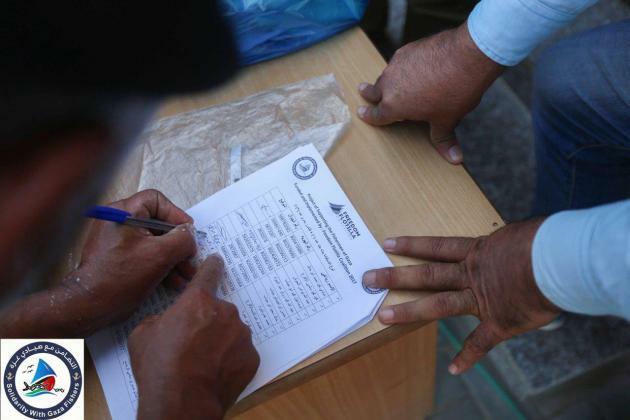 Fishermen in Gaza have started losing hope. Some are selling their boats for one-third of their real cost. But we can’t stop fishing. We must go back to the sea to feed the family. To try to live is much better than to die without trying. Majed: We are all depressed. My wife wakes up crying and falls asleep crying. Mohammed’s wife can no longer live among us. I, as a man, look strong but my heart is broken. When I used to shout at Mohammed, as his father, his mother would stop me by saying, “When I gave birth to him, I lost my vision [fainted] for two hours.” And now, she loses her vision as she cries for him. How will you live after this? Majed: I don’t know exactly. Life is hard. One time, the wives of my sons gave me their wedding jewelry to sell so I could use the money to buy a new boat. How do you feel now toward the sea? Majed: I cannot look at it. 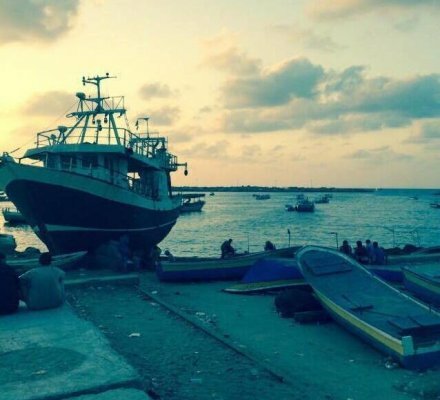 I want to go to the Gaza port, but when I arrive, I turn around and go back home right away. 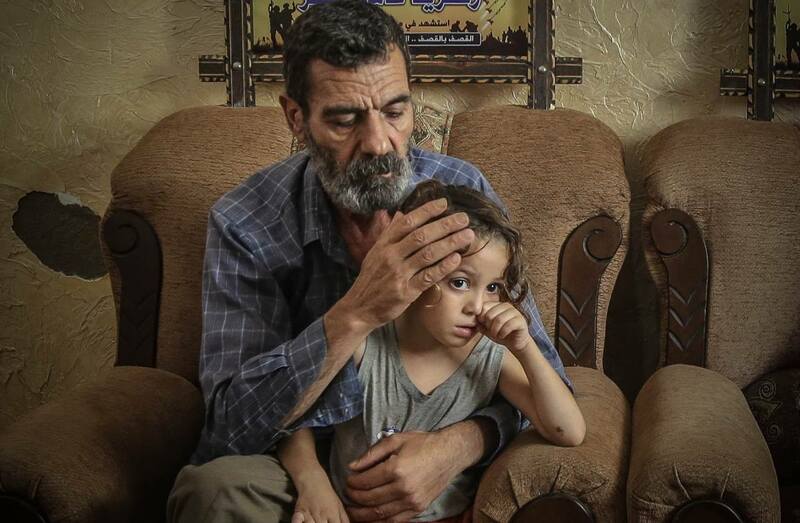 I have one last wish: I wish that no one has to bury his son or daughter while he is alive. No one, neither a friend nor an enemy. By Tarneem Hammad, in Gaza. This article and the video below (The Sea is our Refuge) are from our partners at We Are Not Numbers. I am Rajab Abu Riyala, a fisherman from an early age. I am in love with fishing and I’d l be lying if I said I would rather do another job. The sea is my “talent” and if you take me out of the sea, just like a fish, I’d die. It’s not because I come from a family of fishermen and fishing is our livelihood, no. It’s because of my love of marine life and sailing. Half of my life was spent on Gaza’s sea and the other half on paying the price of the first half. At the age of 15, I used to work side by side with my father on his boat while studying for my school exams. When I finished my last year at high school, I wished I to further my studies in university. But the odds were not on my side. My dad was getting older and weaker, so I decided to help him and pursue my passion for fishing. One day, at 6 a.m. during a cold winter in 2005, my father and I set out to sea off the coast of Rafah for our morning catch. We remained within the Israeli-imposed 12-nautical-mile limit (today, it is much less), but suddenly we saw an Israeli naval boat heading toward us. “All fishermen! Stop the boats! I said stop the boats or we’ll open fire!” a soldier on the boat boomed at us through a megaphone. We stopped our boats and what happened next was very humiliating. The soldiers commanded that we take off our clothes and jump into the water, or we’d be shot. Everyone else did, and were taken out of the water and onto the Israeli naval boat with their hands tied and blindfolded. 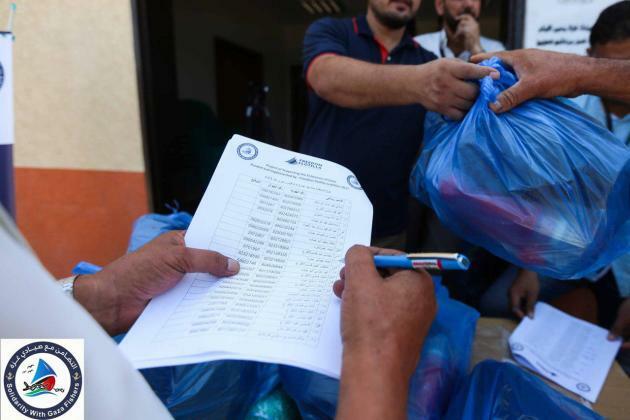 Then they were subjected to hours of investigation, while their boats were confiscated. But my father and I refused to take off our clothes and give up our catch. We refused to be taken It was very cold and windy; I was wearing three pairs of socks and a rubber suit, but still it felt like I was freezing my tail off. Israeli soldiers yelled at my father: “I command you to stop the boat now!” My father kept driving our boat and the Israeli navy followed us until our boats crashed. 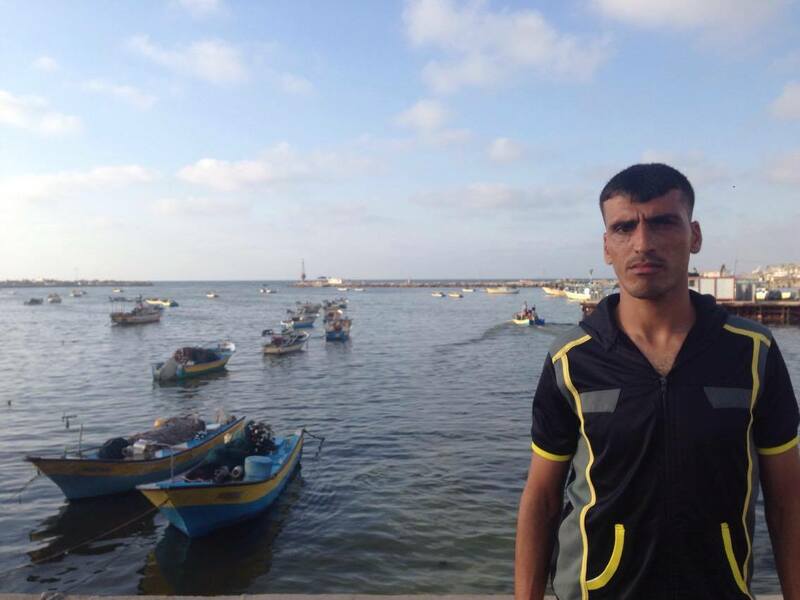 The Israeli soldiers opened fire and I fell off of our boat into the sea. My father managed to pick me up out of the water, and I lay there in pain while still hearing the shots of the Israeli soldiers. Then the pain worsened and I began screaming, while holding my hands to my chest. My father ripped apart my clothes and found a bullet hit my chest. Words cannot describe the way my father felt or even looked. All I can say is that he flew into a rage and began shouting and throwing stones at the Israeli soldiers while they were still shooting. My father turned on the boat again and the Israeli boat chased us for five kilometers. However, you can’t race a father running for the life of his son. My dad managed to reach the shore and rush me to Al-Aqsa hospital in Deir Albalah, where I was immediately rushed to the operating room. Doctors removed the bullet and said I was lucky because the injury had penetrated all the way through but failed to puncture my heart. I believe I was lucky because I had a very old but very brave man at my back: my dad my hero. I fully recovered after two months of medicine and treatment. That is, until a few months later. This time, the allowed fishing distance was only nine nautical miles, but I remained within the limit. I was with three other boats in the sea off of Khan Younis. Again, an Israeli naval boat stopped us, commanding us to take off our clothes and jump into the water. One of our crews followed the order, but when it was my turn to do so, I remembered my father’s example. (I was in charge that day, since my dad was too ill to sail with me.) I said, “NO!” It was impossible for me to let all of our sweat and fatigue be in vain. There was no way I would return home empty-handed. So, I continued sailing and the Israeli soldiers chased me, firing toward my boat for 15 minutes until I reached Gaza. But then, all of the sudden, a bullet made it to my knee. I felt nothing at first, but I saw blood inside my boat. I thoroughly examined myself for any injuries and I saw the wound in my right knee. I turned off the engine and stopped; I could see the shore, but the Israeli soldiers boarded and took me to their boat. A doctor on board bandaged my leg and gave me some pills, which at first I refused to take. But he said it would ease my pain until we get to a hospital, so I did. He was wrong, because the pills eased nothing and I screamed all the way to the occupied town of Asdud (a trip of 42 kilometers). We finally reached a hospital at 7 a.m., but they chose to leave me bleeding until 5 p.m. 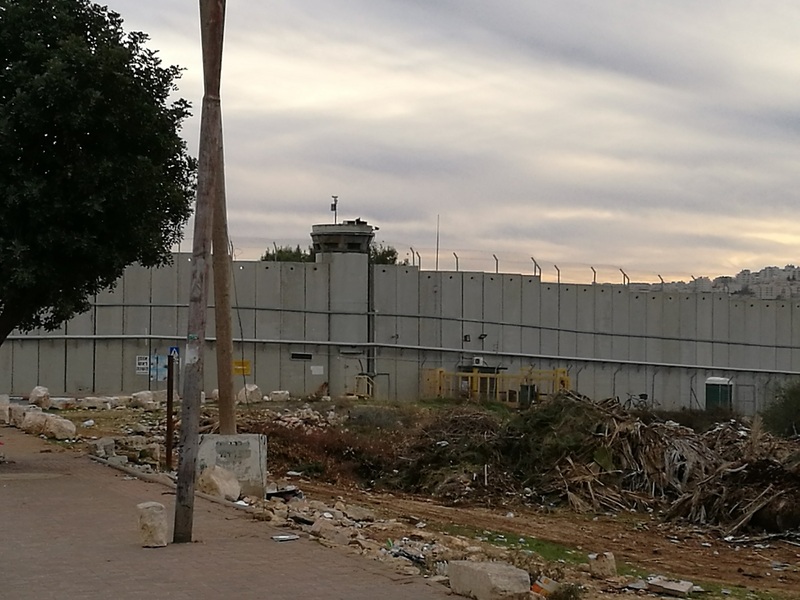 I could take it no more and I shouted, “If you’re going to leave me bleeding, let me go back to Gaza to be treated.” The staff put a splint on my knee, with the bullet still inside, then took me in a jeep to the Erez crossing. From there, I was transferred to Al-Shifa hospital in Gaza City. Doctors there finally removed the bullet and I recovered after five months of treatment. However, I still have some shrapnel inside. I can’t stand the pain in winter, and I limp when it rains. On January 3 of this year, there was another incident. Now we were down to an allowance of six nautical miles. 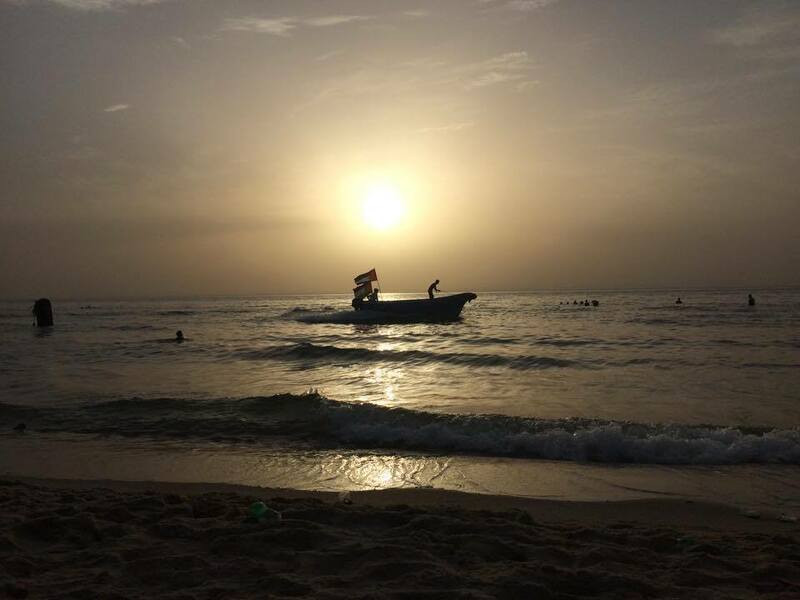 I was 10 kilometers away from the Gaza shore and my boat was filled with fish; I was overwhelmed with joy that my long hours of fishing had borne fruit. I wanted to get to land quickly to sell my catch. But then some Israeli naval boats—small, but very fast–surrounded mine and started to haphazardly shoot both live and rubber-coated steel bullets. I felt four rubber bullets graze my back; it was impossible to protect my body, because they were shooting like crazy. I only wanted to protect my face and not lose consciousness. I grabbed an empty fish box and held it in front my face, but the boat rolled and I lost balance. The box fell and I caught a bullet in my right eye. Two days later, I woke up in an Israeli hospital. I was told that the bone under my eye was broken, my retina was destroyed and my sinuses also were damaged. But I only wanted to know if I’d be able to see after the gauze was removed. My sight is all I have. I have one wish: Give me back my boat. It’s not just a boat to me. It’s my whole life. I spent three years building it piece by piece. I bought the fiberglass and made it with my own hands. It was very fast and strong. I made it to last forever; my wife sold her jewelry so I could finish building and we could live happily ever after. My dream cost me $12,000 and I achieved it, but the Israeli occupation stole it from me. It’s just a dream now. Without my boat, I can’t work anymore. These days, I’m not able to afford my rent, but the landlord is patient with me. I’m 30 years and I have three children and the fourth is on its way. I love my children and I’m ready to go back to the sea over and over just to draw a smile on their faces. Just give back my life…Give back my boat. Note: Rajab no longer sees from his right eye. You can help him and others by supporting the Solidarity with Gaza Fishers campaign, a project of the Freedom Flotilla. An edited short version of a 2012 video (Doors to the Sea) produced by our partners at the Union of Agricultural Work Committees in Gaza (who represent Palestinian fishers), this short video shows the experience of Gaza’s fishers under blockade, confronted by Israeli warships, sharp restrictions on their areas for fishing, and the political, military and economic blockade of Gaza. Directed and produced by : Nacho García, Inés Grocin, Anxela Iglesias, Carlos Sordo. About one billion people world-wide rely on fish as their primary protein source. Many of these people live in poverty and many of the world's 54 million fishers are also poor. Gaza, a 43km coastal strip of land, depends heavily on its inshore fishery to feed its population of nearly 2 million Palestinians. ​O​ver the past ten years, the ability of Palestinians in Gaza to ​make​ a living from ​fishing​ has been severely undermined as a result of fishing access limits imposed by the Israeli Occupation Forces along the Gaza coast. Out of the 20 nautical mile zone that they were promised under the Oslo accords, Palestinians are restricted to a fishing zone of just three to six nautical miles off the Gaza shoreline, temporarily increased to nine nautical miles for the southern part of the Gaza coast in early May, and then reduced again. Fishers deemed to have exceeded the boundaries by Israel’s navy are shot​ at​, their boats are confiscated, and they are sometimes arrested or worse. Even within the restricted boundaries of six to nine nautical miles, Israeli forces sometimes open fire at Palestinians: earlier this month a Palestinian fisher was killed by Israeli gunfire inside the “permitted” zone. 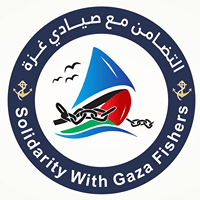 The Freedom Flotilla Coalition has launched a new project called Solidarity with Gaza Fishers, in partnership with the Union of Agricultural Work Committees (UAWC), who represent fishers in Gaza. The winning logo for this project (above) was provided by our friends at the UAWC. ​Our aim in the Solidarity with Gaza Fishers is to link the struggle of those under blockade and constant attacks with their counterparts in countries all over the world. Sustainable fishing is a way of life endangered by mostly political factors around the globe. We believe that by drawing attention to the situation of Palestinians in Gaza we will bring to the foreground not only the need to lift the inhuman and illegal Israeli blockade, but also the importance of respect for all fishers wherever they are. Fishing everywhere is a difficult, often hazardous, way to make a living: for Palestinian fishers in Gaza, fishing has become extremely dangerous. We call on you to join us in this project by sharing information about the situation of Palestinian fishers in Gaza with other fishers, fishing organizations and civil society organizations close to you. 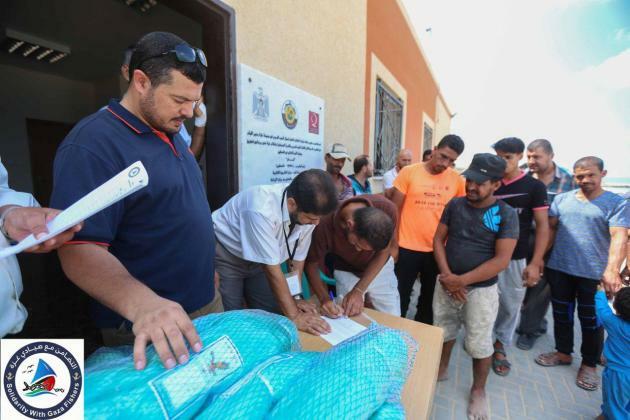 Fishers and others can show solidarity by organizing events in your local community or fishing port, by flying Palestinian flags and banners of the project on their boats in symbolic protest, and by issuing statements of support. 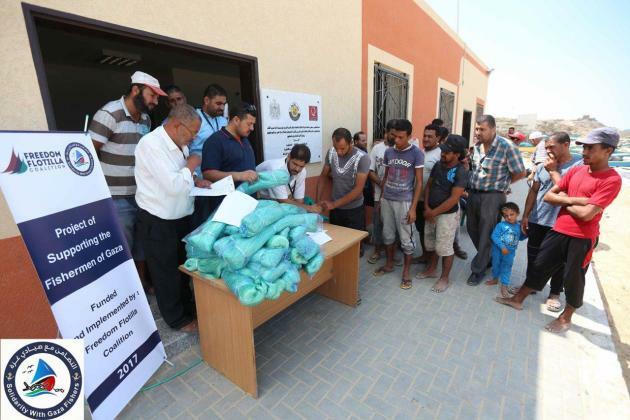 Some may even wish to consider donating part of the value of their catch to enable us to deliver fishing and boat fixing material to Gaza's fishers through an NGO that is part of our coalition. 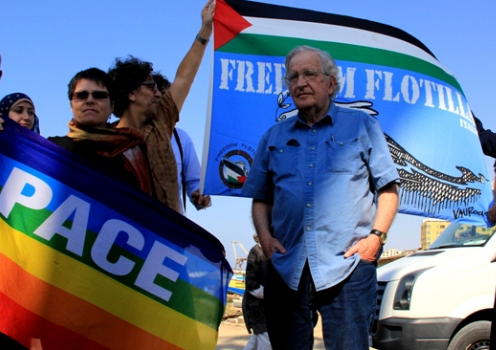 We invite you to share the stories on our new website: sgf.freedomflotilla.org with your contacts near and far. Help us spread the word about both Palestinian fishers in Gaza and those who stand in solidarity with them in other parts of the world. If you are in touch with fishers or their organizations who want to share stories of their struggles, please put them in touch with us as well too. Together, we can end the blockade and help Palestinians win their fundamental rights. Please follow our campaigns on Twitter @CanadaBoatGaza @GazaFFlotilla Facebook: www.facebook.com/CanadaBoatGaza/ www.facebook.com/FreedomFlotillaCoalition/ Share our messages and forward them widely!